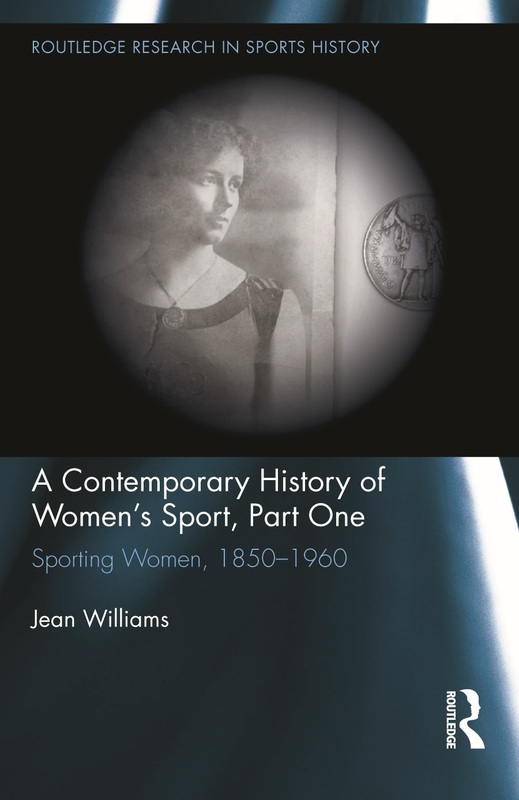 Jean Williams is the author of the world’s first published academic history of a female sports code, A Game For Rough Girls: a History of Women’s Football in Britain (Routledge, 2003). Funded by FIFA, Jean then broadened the work to five case- study national perspectives in A Beautiful Game (Berg, 2007) and, funded by UEFA, to fifty three European national associations in Globalising Women’s Football: Europe, Migration and Professionalisation (Peter Lang, 2013). Drawing on this international overview, in this presentation Professor Willisams argues that the business model of women’s football in nineteenth century Britain began as a form of ‘penny-entrepreneurialism’ building on other developments in sport and the entertainment industry, most notably exemplified by cricket and swimming. While informal ‘kick-abouts’ for women were part of the rise of modern codified Association Football from 1863 onwards, proper matches between female teams date back to at least 1881 and there was also a period of intense professional activity with over 100 matches all over the UK in the period 1895 to 1897. The last few of these appear to have been male versus female fixtures, at which the largest gate receipts were taken, resulting in the 1902 FA ruling that male and female teams must not contest the same match. Covering another period of intense activity during World War One, Jean will explain how a sense of civic-boosterism, belonging, identity and tightly knit communities enabled women’s football to build a regular paying fanbase, with crowds up to 60,000 in matches played for charity. As a result of this success the Football Association banned women’s football from 1921 until 1969, when it belatedly and grudgingly recognised female players. The 1970s saw a series of bitter gender battles over discrimination but with sport an important exception, and, just as the male game became more heavily professionalised, women’s football was forced to remain amateur. The first women’s UEFA Euros followed in 1984, a FIFA Women’s World Cup in 1991, and a women’s Olympic football tournament in 1996. Concluding with a contemporary global perspective, Jean will argue that both the football authorities and sport business in Britain have failed to have sufficient ambition for women’s football as an aspirational product. Sport has become increasingly a product of the market, globalisation and the liberal establishment. However, women’s and girls’ participation in football worldwide remains at ten per cent of players at best. A sense of change in attitudes has therefore to be balanced with the greater continuities that remain in perspectives towards women in sport, and football particularly. Originally trained as a teacher of English, Jean completed her MA thesis on black feminist literary theory and thought that she would become a Toni Morrison scholar. However, 20 years ago, she wrote a PhD thesis on the history of women’s football instead. Jean’s research has been funded by FIFA and UEFA, and she was a consultant for the Los Angeles Declaration on Women’s Football released at the Women’s World Cup in 1999. Currently Professor of Sport at the University of Wolverhampton, Jean has travelled to research, write and present in China, North and South America, Africa, and Europe. In recognition for her work on sport development she is a Member of The Economic and Social Research Council (ESRC) Global Challenges Research Fund (GCRF) Peer Review Group and in 2017 was awarded £70,000 Arts and Humanities Research Council (AHRC) funding for a Collaborative Doctoral Award, with the Hockey Museum, on oral histories of women international players. Williams, J. and Rob Hess (eds.) (2016). Women, Football and History: International Perspectives A Special Edition of The International Journal of the History of Sport, 32 (18). Williams, J. (2016). A Contemporary History of Women’s Sport-Part One 1850-1960. Routledge Research in Sport History. Williams, J. (2015). ‘Olympism and Pastoralism in British Sporting Literature’ in: Sharon Harrow (ed.). British Sporting Literature and Culture in the Long Eighteenth Century Ashgate pp. 35-55. Williams, J. (ed.) (2015). Kit: Fashioning the Sporting Body. Routledge. Williams, J. (2015). ‘Tri-ang Strong Toys’: Lines Brothers and British Motor Sport in the Inter-War Period’ Sport in History, online 5 December 2015. Williams, J. (2013). Globalising Women’s Football: Europe, Migration and Professionalisation 1971-2011. Peter Lang. Williams, J. (2013). ‘“One time he could-‘a’ been, the champion of the world”: Bob Dylan’s ‘Hurricane’ as protest song’ in: Anthony Bateman (ed.) Sport, Music and Identity: Special Edition of Sport in Society 16 (8) pp. 945-965. Williams, J. (2007). A Beautiful Game: International Perspectives on Women’s Football. Bloomsbury Academic. Williams, J. (2003). A Game for Rough Girls? A History of Women’s Football in England. Routledge. David Goldblatt and Jean Williams. A History of the World Cup in 24 Objects. The National Football Museum.